Severn, Maryland is a beautiful town that has a population of around 45,000 people. There are a lot of historical sites to see in the area and the city isn’t far from Baltimore. With all of the sites to see, you don’t want to let tooth pain slow you down. 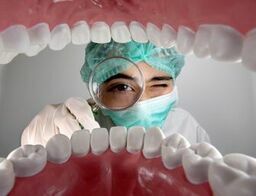 Emergencydentistsusa.com has made the task of finding an emergency dentist quickly very easy. By simply typing the name of the city on the site, you can view available dentists in and around the Severn area. You can view the services that they offer, the hours they are available, the types of payments they accept, and any discounts they may offer to patients without insurance. If you don’t have online access, you can call our toll free 24-hour dentist finder hotline. One of our operators will be glad to assist you with finding the perfect dentist. Once you decide on the dentist you’d like to see, they can schedule your first appointment and give you directions to the office. When you go to your first appointment, make sure that you bring your ID and insurance card with you. Also make sure you bring any money due. With Severn being located so close to Baltimore, you’ll be able to find a dentist that suits your needs. When an emergency occurs, it will likely be a general dentist that can see you the fastest. Once they get you in the office and assess your dental problem, they’ll refer you to a specialist if needed. It is likely that they’ll be able to treat you in the office that day. Description: Apple Dental offers a beautiful state-of-the-art facility so their patients know as soon as they enter that they are going to be well taken care of. For major dental work, they offer their patients a simple financial plan to ensure they are able to easily afford their care. Offering a variety of dental services, they are able to take care of their patients without the need of referrals. Description: Chesapeake Smiles Dental is proud to offer their clients emergency dental appointments. They have extended hours as well as Saturday hours to ensure patients are able to be seen when an urgent dental appointment is needed. With financing plans and a deeply discounted exam, they make sure that everyone has access to affordable dental care. Doctors: Michael Farivari, D.D.S., Shora Farivari, D.D.S. Description: Ridgeview Dental Care has been serving Hanover and the surrounding areas since 1985. They offer affordable dental care to ensure that everyone has the best dental health possible. General and cosmetic dentistry with all of the latest technology means that you’re receiving the best care possible at each appointment. If you have persistent tooth pain that lasts longer than a couple of hours, you should go to an emergency dentist immediately. If you’ve had any type of accident such as a sports injury or a car wreck that has caused trauma to the mouth, you should visit an urgent care doctor first. They will need to make sure that you don’t have any broken bones or a concussion. Once they have cleared you, then you should go to an emergency dentist. If you haven’t experienced any trauma, then you may have an infection. That will also need to be treated quickly to avoid letting it spread to other areas of your mouth. Any time you are visiting a new dentist, it is always best to take precaution and check the dentist’s credentials. You can do this when you go to your first appointment by simply asking the receptionist. Most dentists have these items on display throughout the office. If you would like to check prior to your first appointment, you can enter the dentist’s name on the Maryland Dental Association website.